Step aside lizards, looks like we have a new animal overlord. 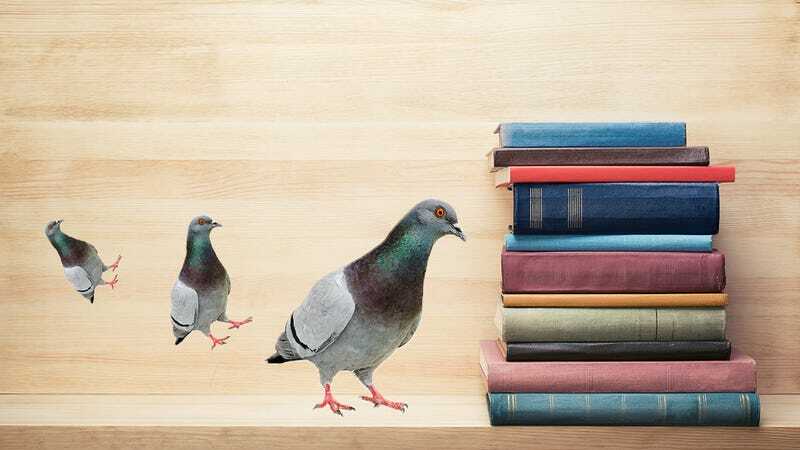 A recent study published in Proceedings of the National Academy of Sciences found that pigeons can be trained to understand some words, sort of. Scientists trained the four smartest pigeons they could find to tell the difference between four-letter words and nonwords, and identify when a word’s letters were transposed (like “very” vs. “vrey”). The method scientists use to determine whether the pigeon could differentiate between words and nonwords is pretty basic. They first trained the birds to eat from a hopper bird feeder. “After hopper training, an autoshaping procedure was used until subjects were consistently pecking stimuli presented in any of the three apertures,” the authors write. Below is a video from a 2007 study that demonstrates an autoshaping procedure, which is a commonly used Pavlovian conditioning technique. After the pigeons were conditioned with the autoshaping procedure, the scientists began to present word and nonword stimuli through the aperture of the hopper. “When a word was presented in the center aperture, the correct response was to peck the word,” the study’s authors write. They also displayed a “star stimulus” to the pigeons either above or below the center aperture, randomizing its location in each trial. When a pigeon was presented with a nonword, they were supposed to peck the star stimulus. Pigeons were rewarded for their correct responses with wheat. “A correction procedure was used throughout training, such that after an incorrect response, the trial was repeated until the subject made the correct response,” the scientists explain. What does this all mean? These adorable little rats with wings are smarter than you think. Beware.